In my earlier post about Gardening for Pollinators, I talked primarily about pollinators and flowering plants, also known as angiosperms. But there’s a whole other group of plants out there which require pollen as well — specifically grasses and trees. Grasses are angiosperms, however, trees are typically referred to as gymnosperms.The difference between these types of plants is that angiosperms have ovaries, while gymnosperms do not. As mentioned in my earlier post, reproduction is the driving force behind pollination. The anthers (male parts) of a flowering plant contain pollen at their tips which need to be transferred to the stigma (female parts) situated at the tip of the ovary’s style. When the two meet, germination occurs and a new flower begins to form. Although pollen of some flowers can be carried by the wind to a willing stigma, grass angiosperms and gymnosperms depend upon the wind to carry their pollen from one plant to another. As you might expect, this could be an iffy situation since the fertilization would occur at the whim of the wind’s current. To make up for this haphazard distribution, these plants produce millions of grains of pollen. No wonder spring is such a tough time of the year for allergy sufferers! 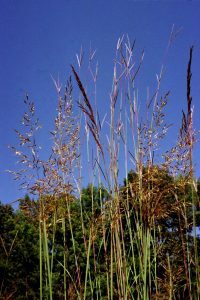 Grasses which includes grains are wind-pollinated, and because the wind does the work of the pollinators, their flowers don’t have to be as showy as those of blooming plants. 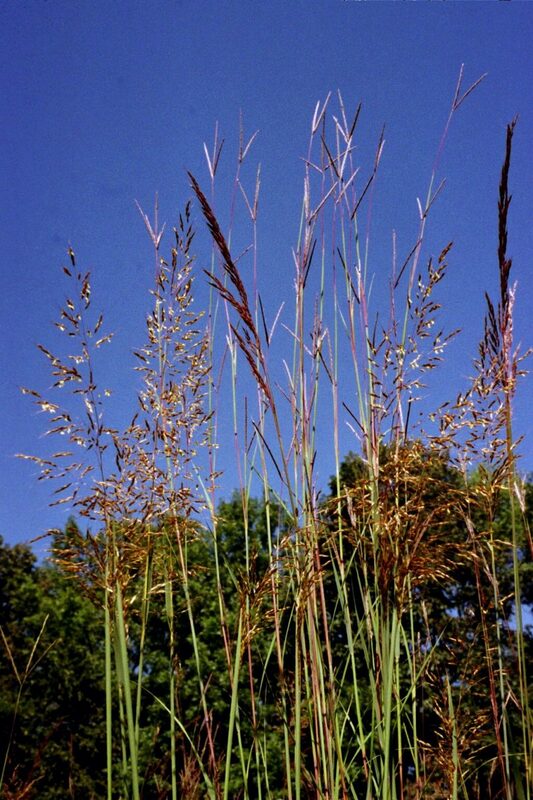 However, the styles of grasses are typically long and feathered to make it easier to capture the pollen grains from the air. They are arranged in groups called spikelets which are comparable to an individual flower. The female flowers of the Red Oak (Quercus rubra) are often inconspicuous, while the male catkins hang prominently. Photo courtesy of University of Kentucky. Many deciduous trees, on the other hand, have catkins that dangle to make it easier to capture the pollen grains as they are blowing in the wind. Oak, walnut, poplar, birch, willow and hazelnut are examples. 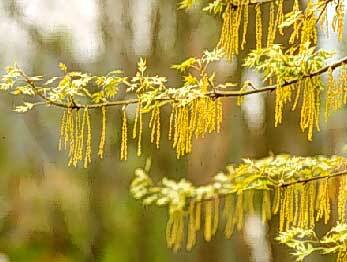 Catkins are made up of a type of flower, either male or female, which must be wind-pollinated to produce fruit. Sometimes these incomplete flowers are on the same tree and sometimes on different individual trees. The woody cone of this White Spruce (Picea glauca) contains the female parts and typically grow near the crown of the tree. Not shown here, the less conspicuous male cones are coated with a fine yellow pine pollen. Photo courtesy of Michigan State University Extension. Conifers, however, do have both male and female parts on the same tree. 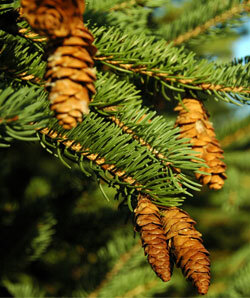 Pine trees produce cones rather than flowers. The female cones are in the top branches of the tree and the male cones in the lower which makes it easier to keep the gene pool diversified. 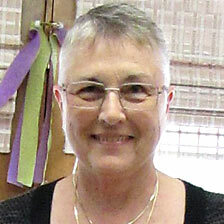 before it finds the right stigma? Flowering deciduous trees like the cherries are angiosperms and function depend upon pollination as outlined in my earlier post on Gardening for Pollinators. Native grasses just as native forbs also serve as larval host plants for many native butterflies and moths. Native trees also serve as host plants providing food and shelter to butterflies and moths during their larval stage, so be sure to include them in your gardening efforts. Grasses that serve as larval host plants. Trees that serve as larval host plants.